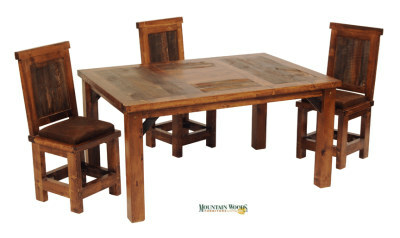 Wyoming Collection 5' Dining Table Discounts Apply ! A families bond is everlasting much like our reclaimed wood. Our Wyoming Collection tables are not only family strong, but welcoming into any family.